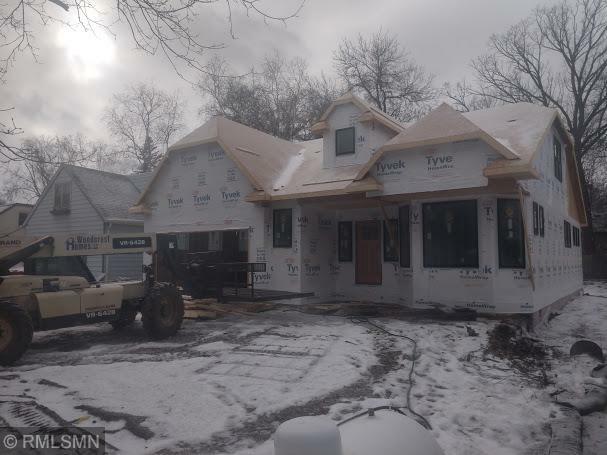 This Home will be finished for your spring walk around the lake. Home features a main level master suite complete with main level laundry and an awesome professional kitchen. This home has an ATTACHED garage so you don't have to deal with the winter walk from the house to the garage. the Lower level is set up for ultimate entertainment space. Directions - Take 50th ave to Xenia ave north to 40th avenue West to York ave then south to home on the Right.